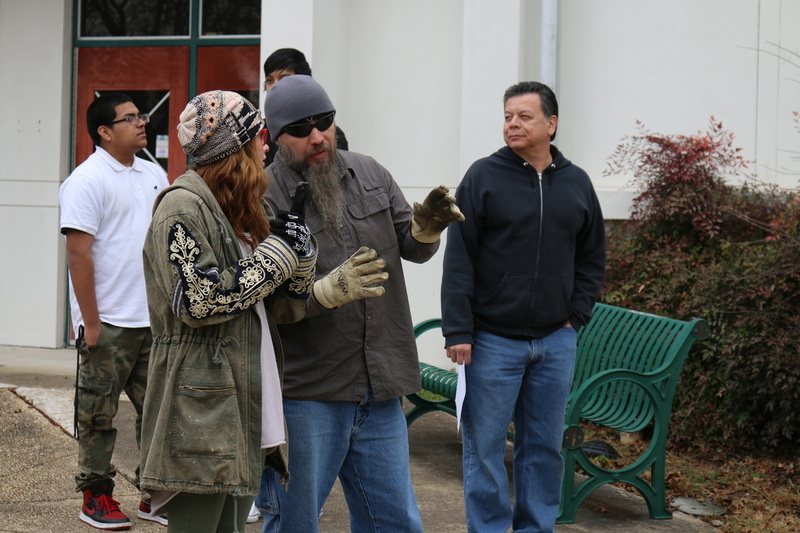 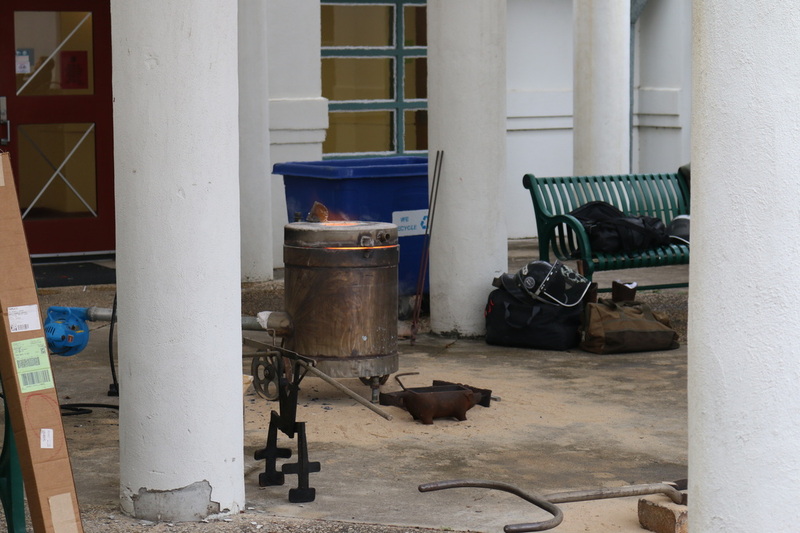 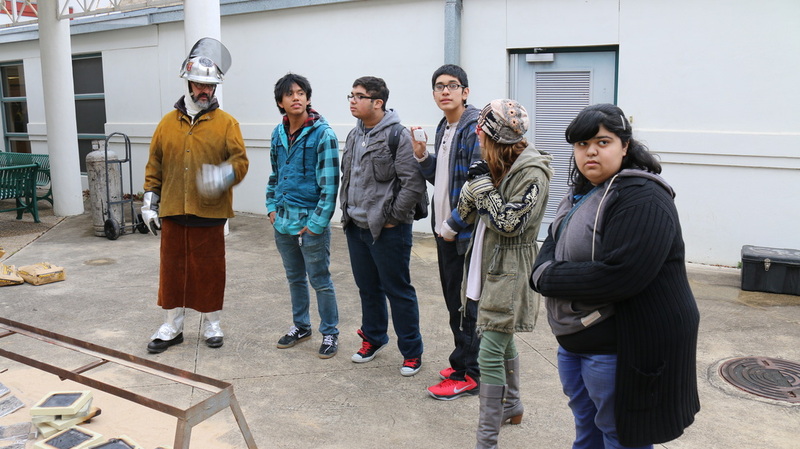 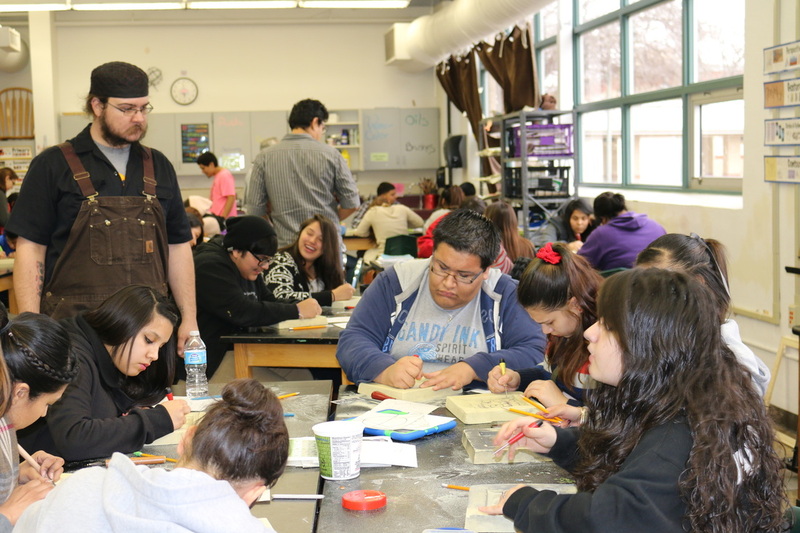 Artist Jack Gron and The Hold Steady Crew visited San Antonio with their mobile foundry to facilitate a workshop with San Anto Cultural Arts at the Edgewood Fine Arts Academy on February 7th, 2014. 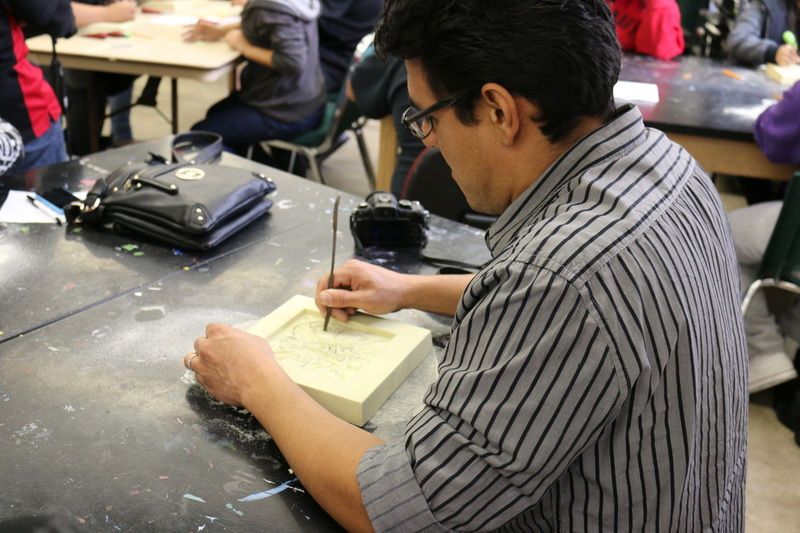 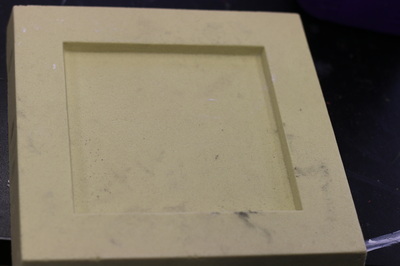 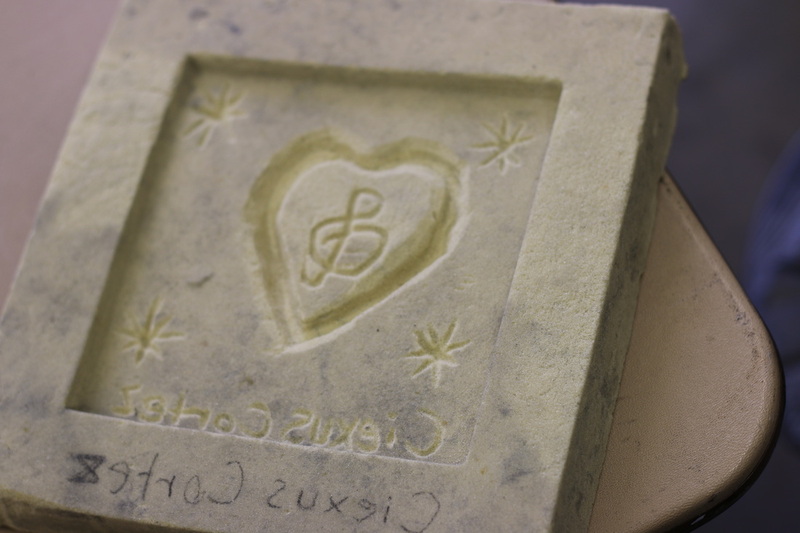 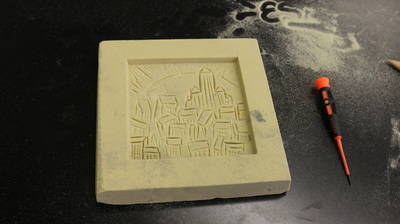 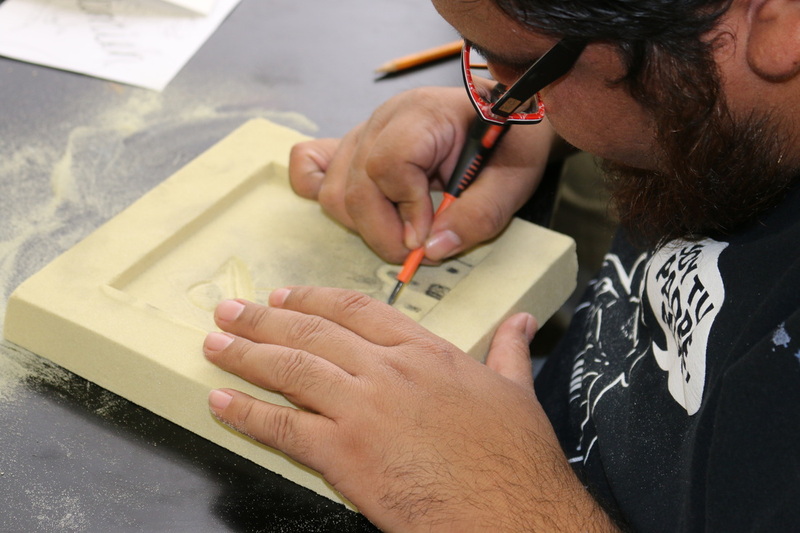 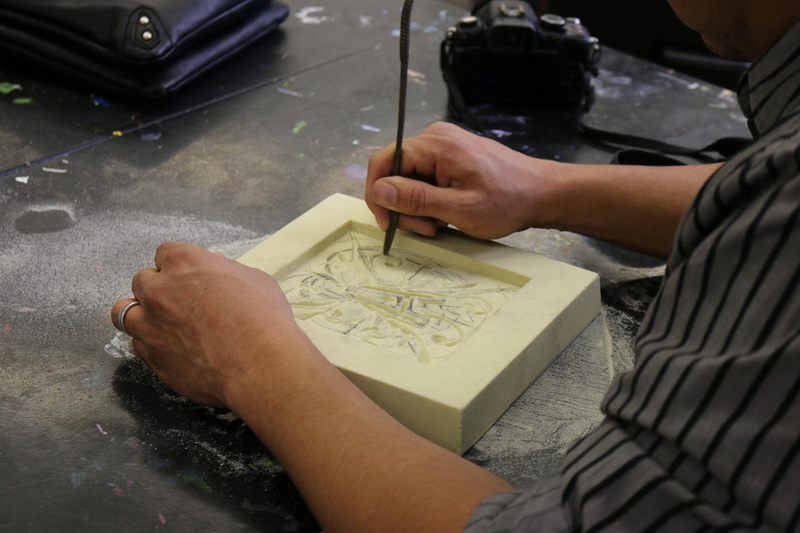 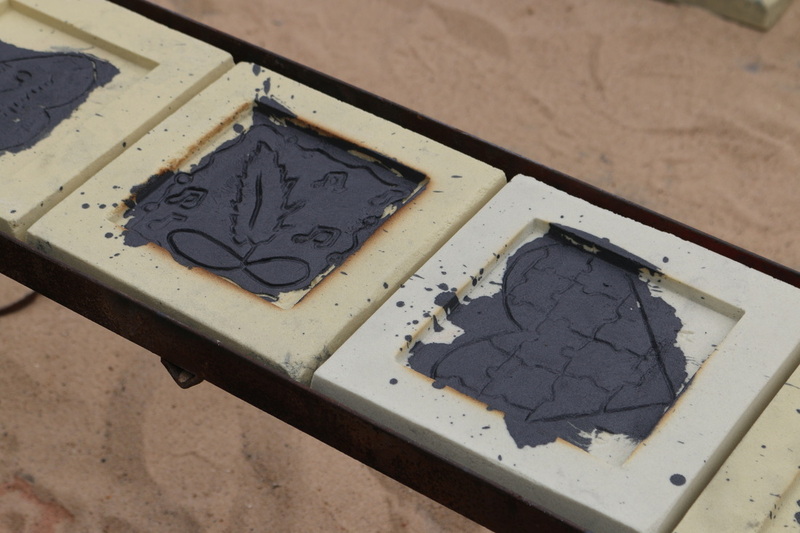 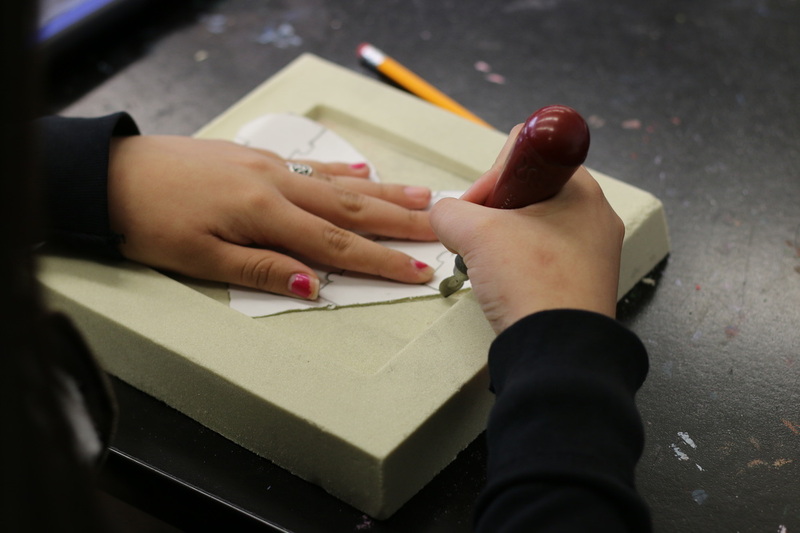 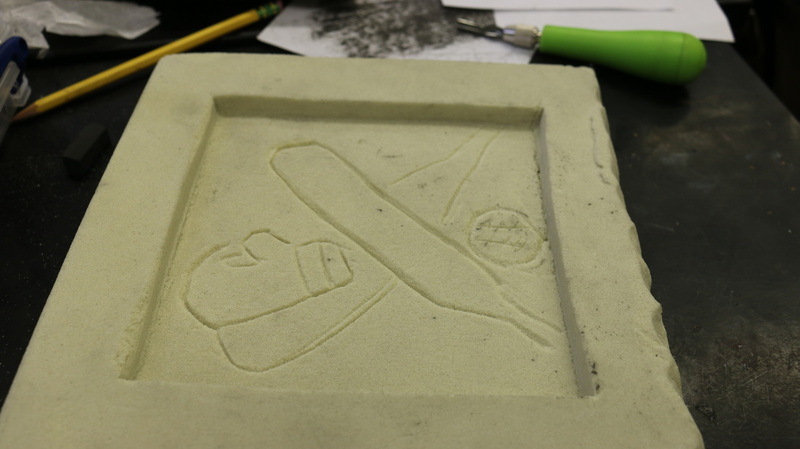 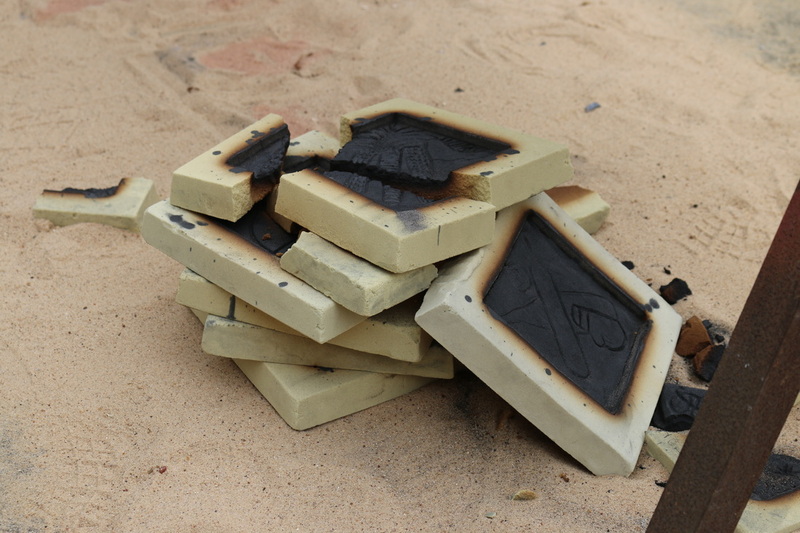 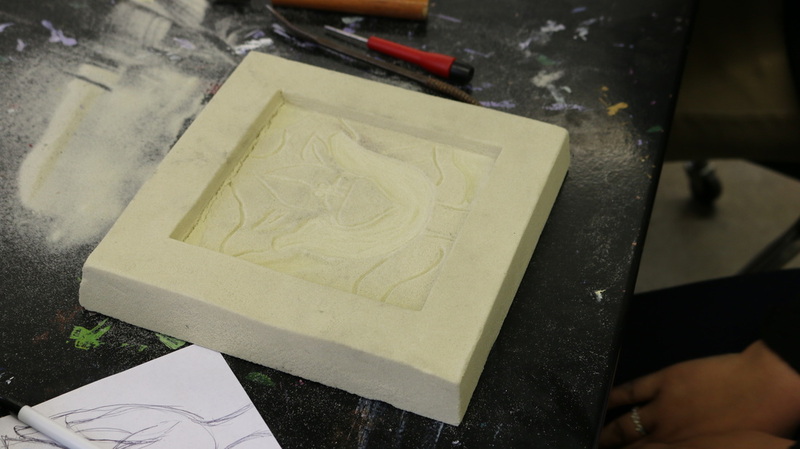 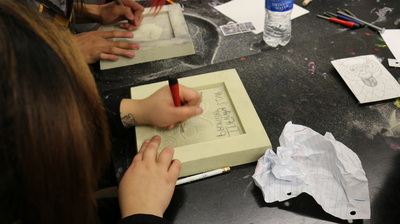 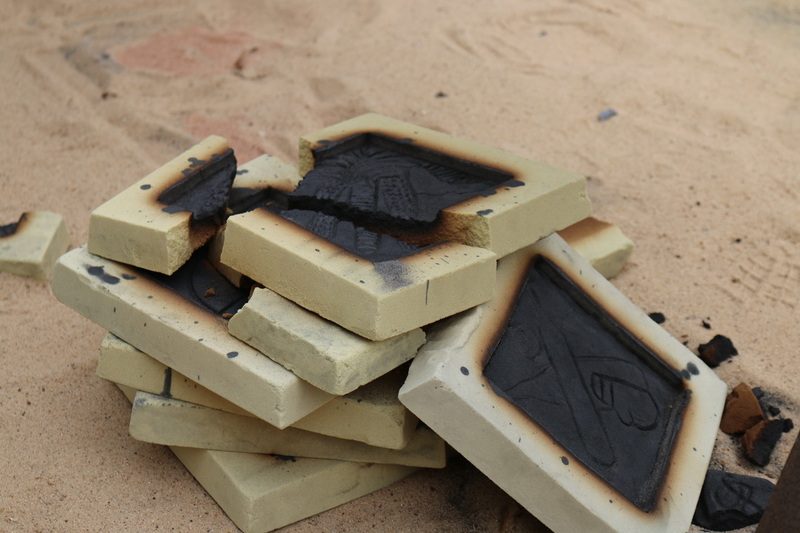 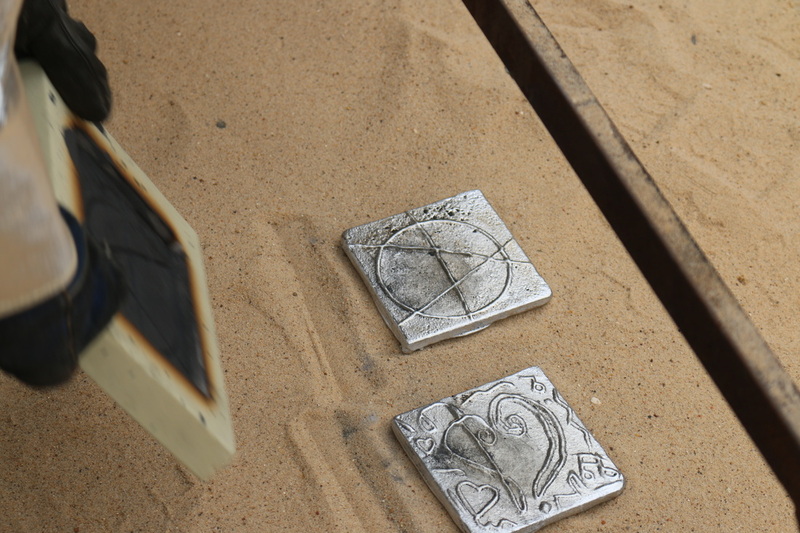 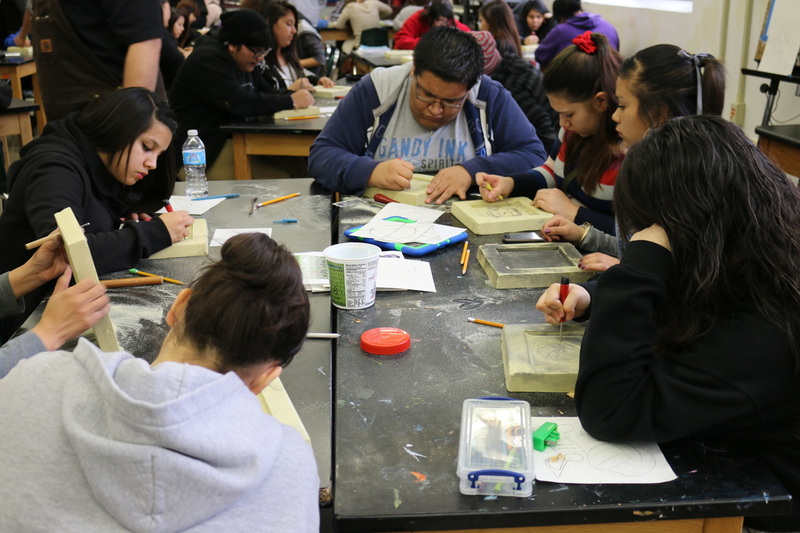 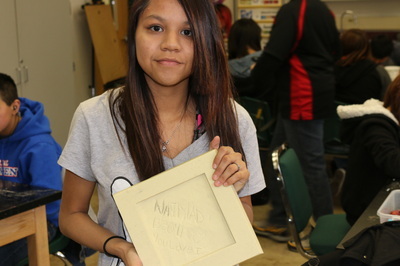 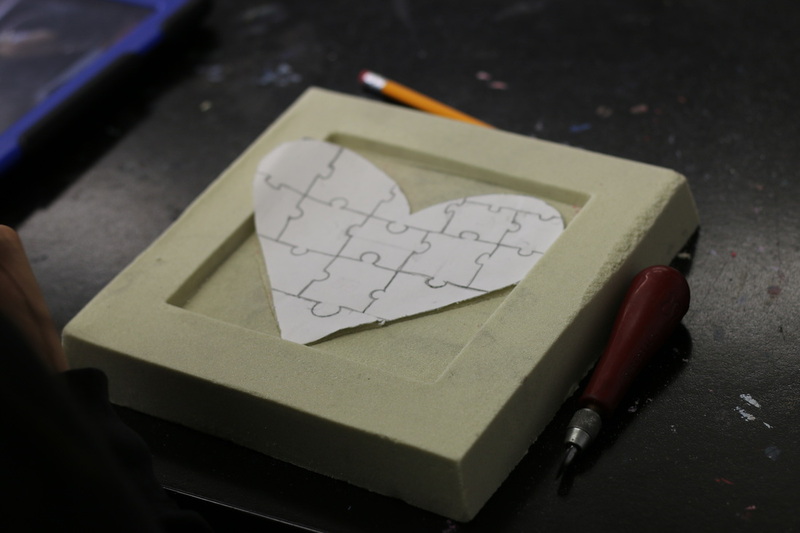 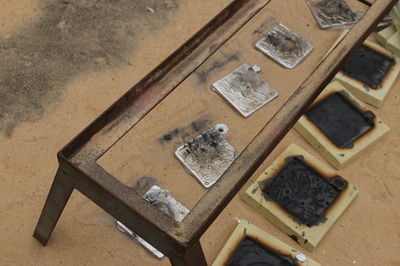 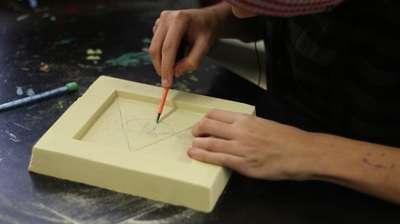 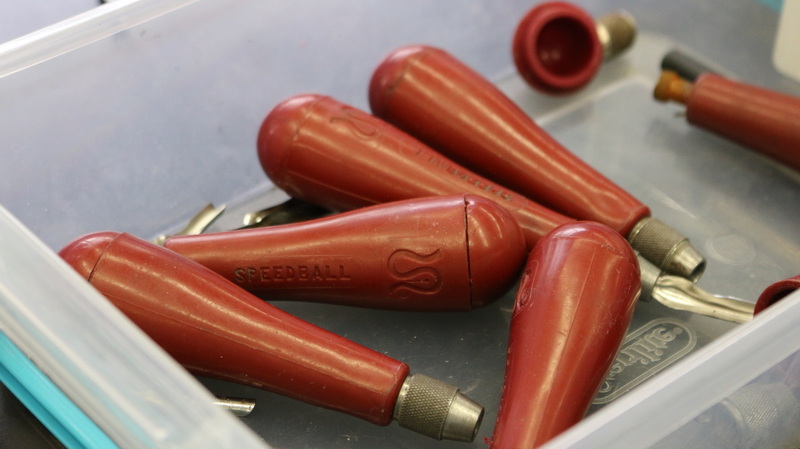 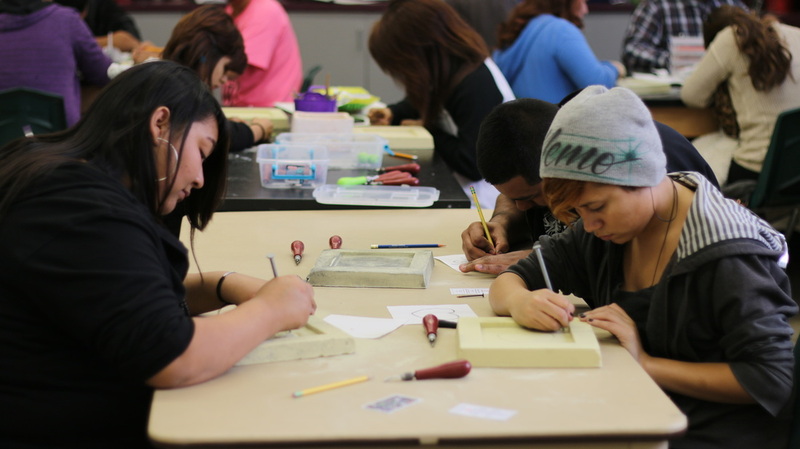 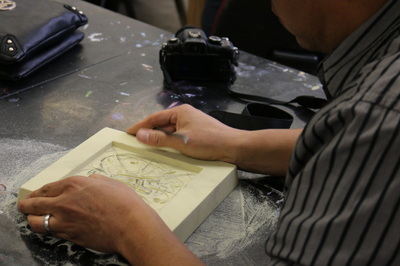 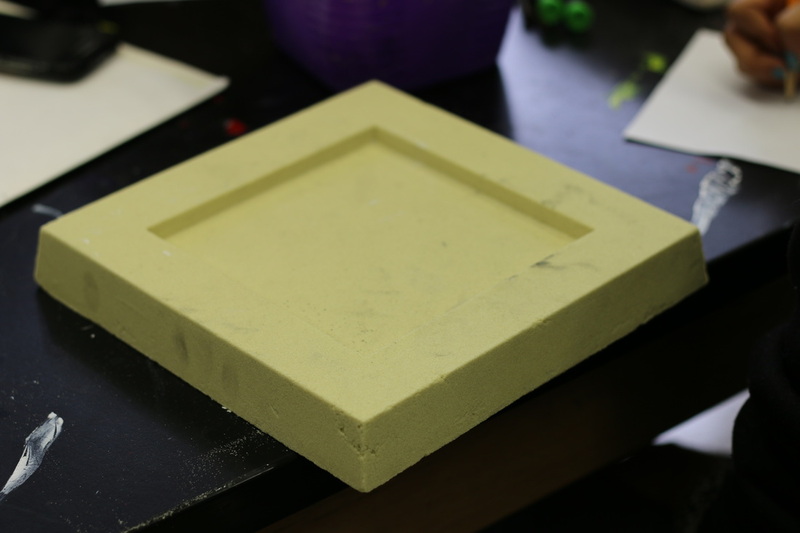 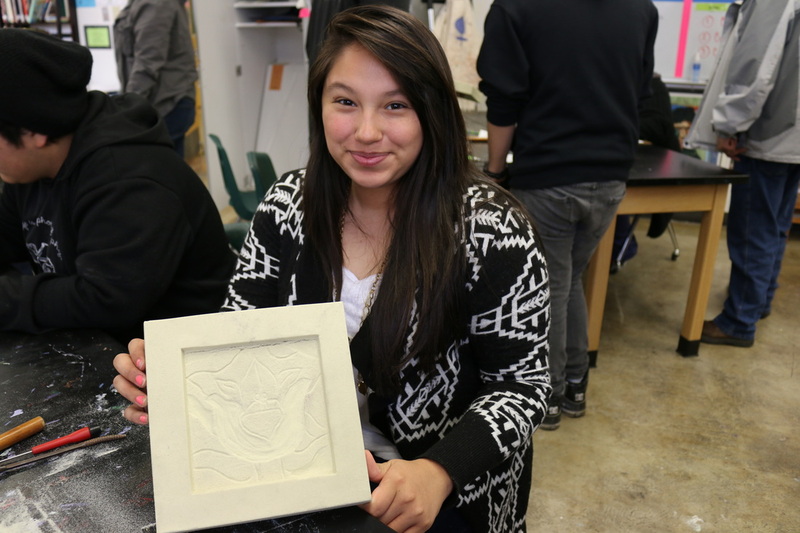 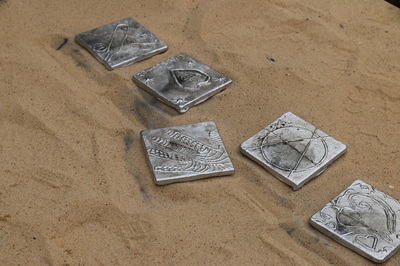 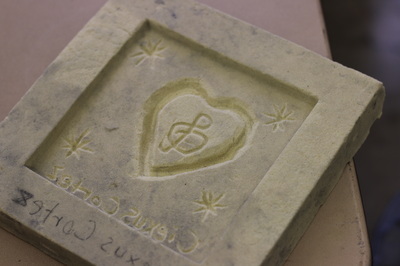 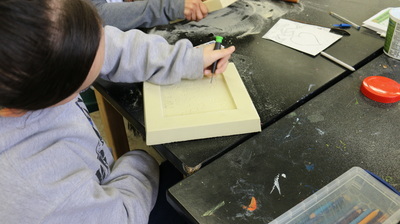 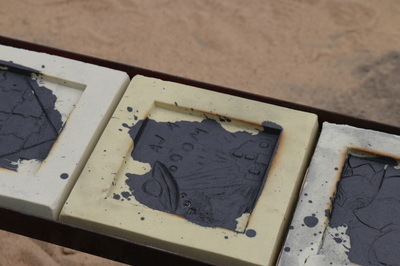 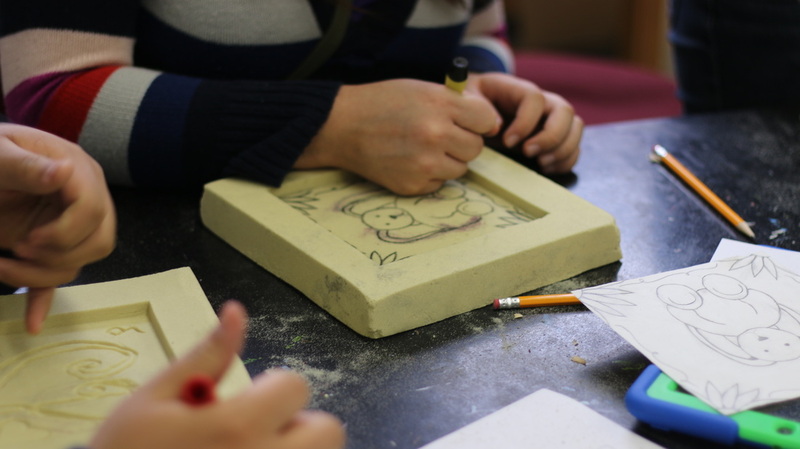 For this workshop, students carved original designs into blocks made of a hardened sand mixture to create molds. 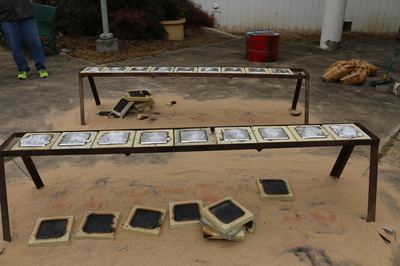 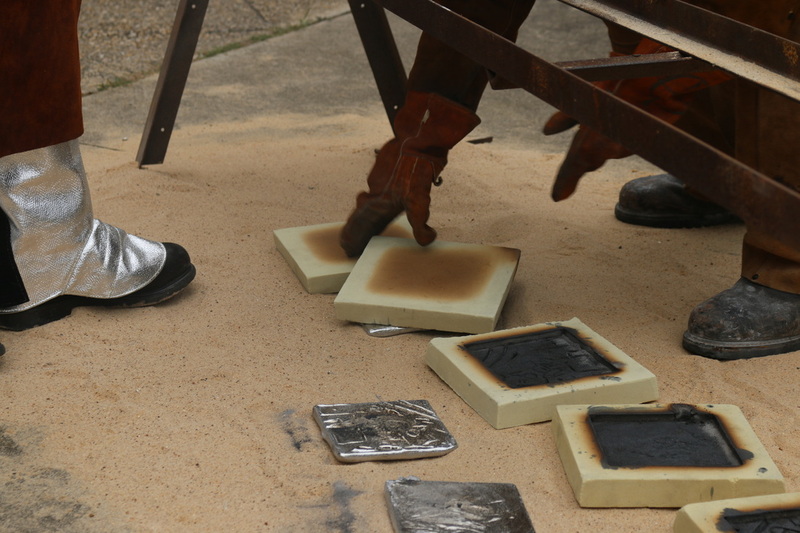 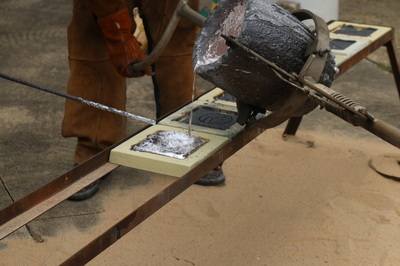 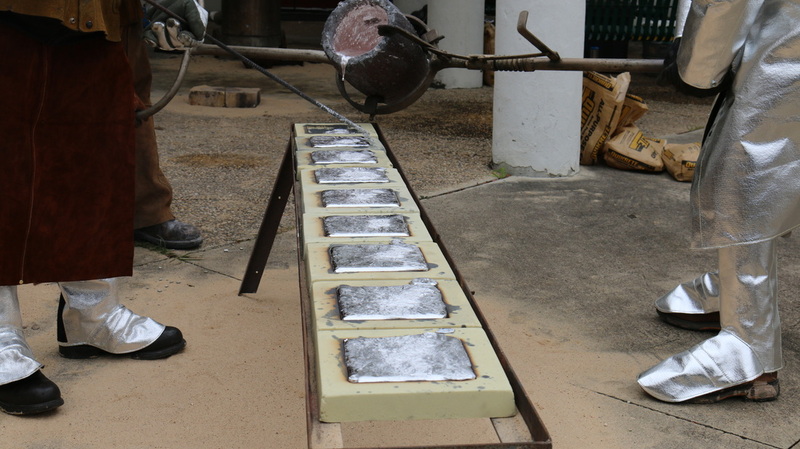 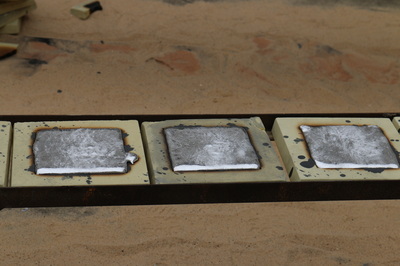 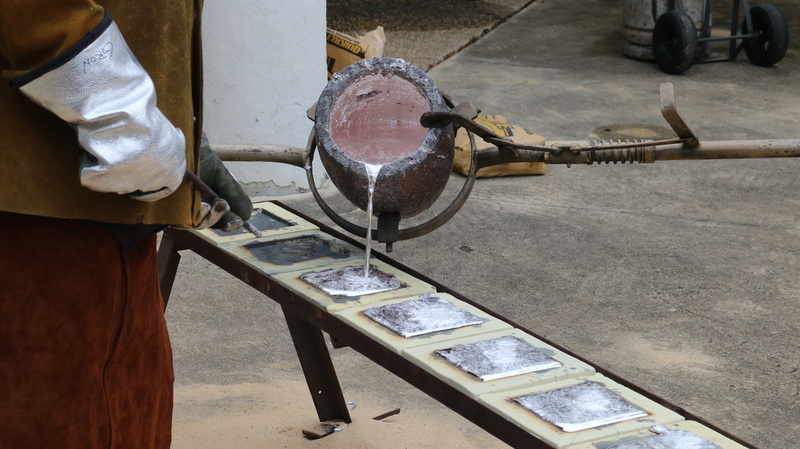 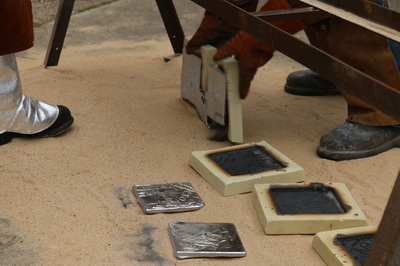 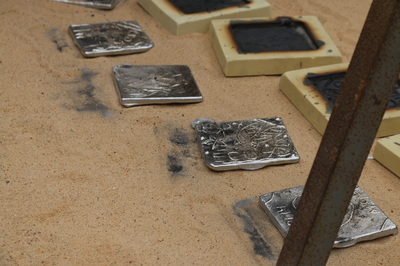 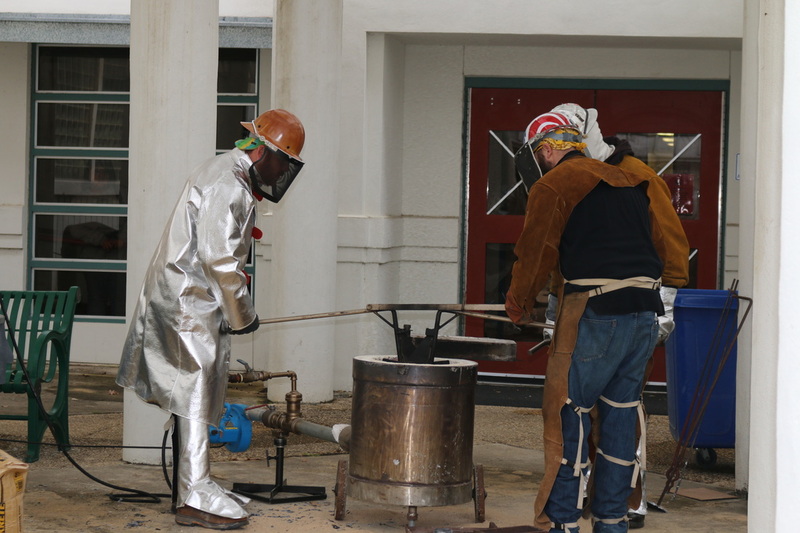 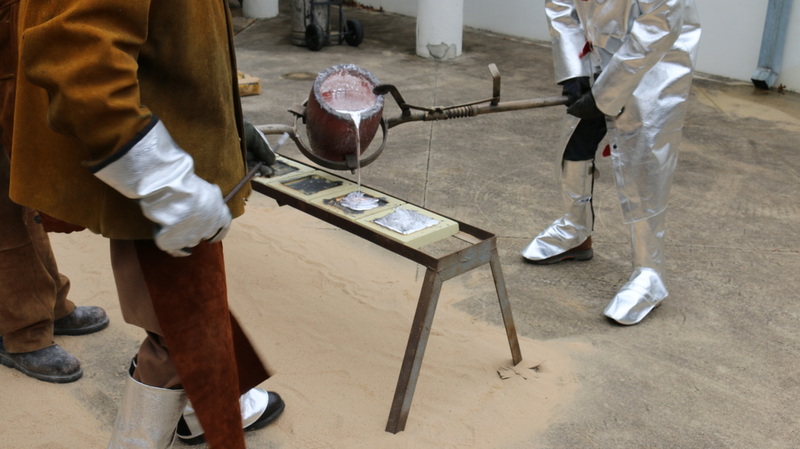 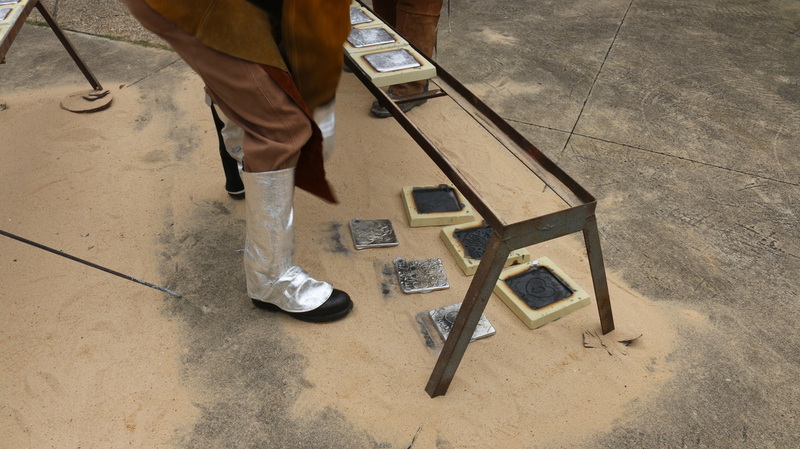 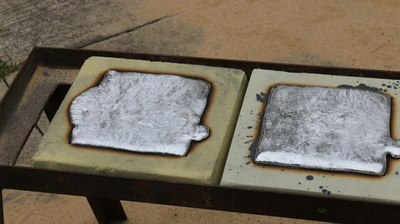 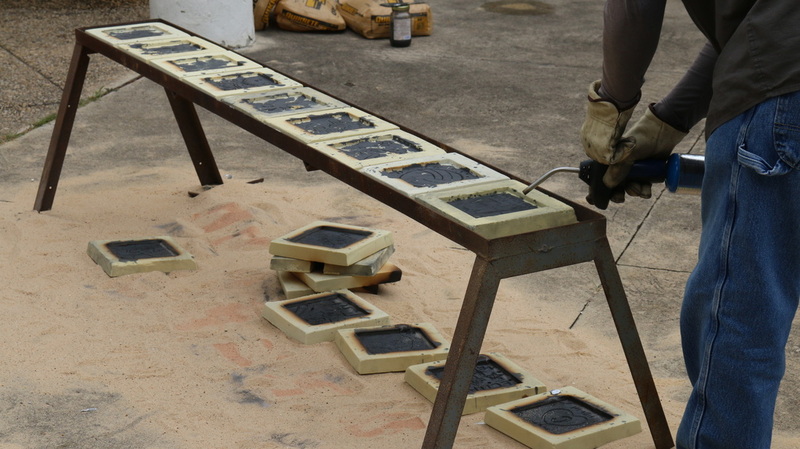 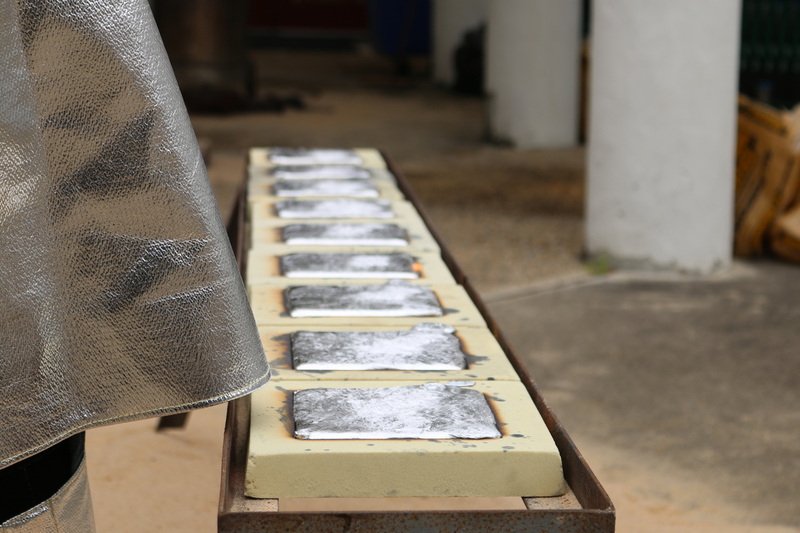 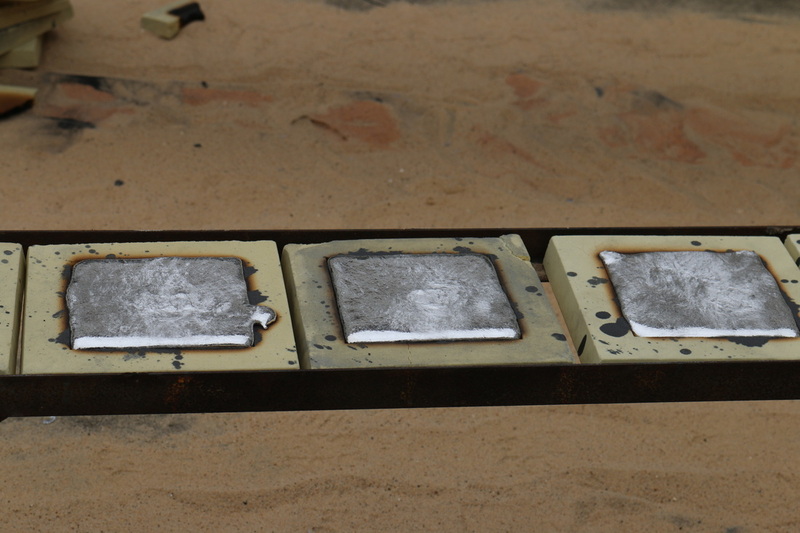 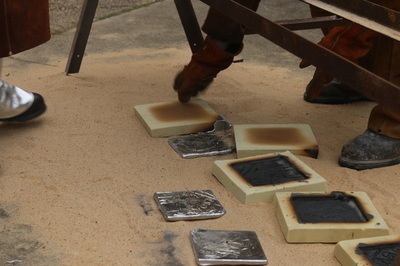 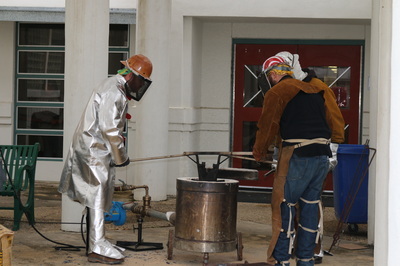 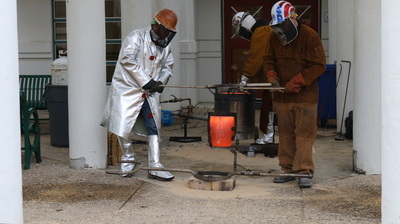 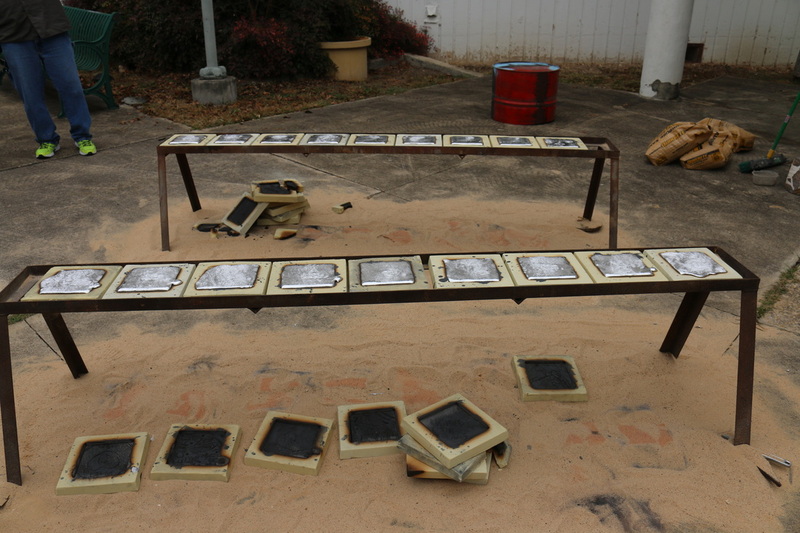 Next, molten aluminum is poured into the molds then cooled to create 6 inch tiles. 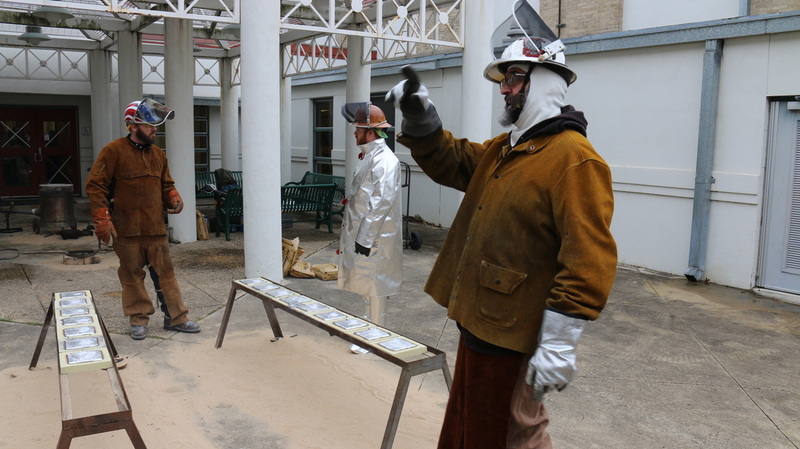 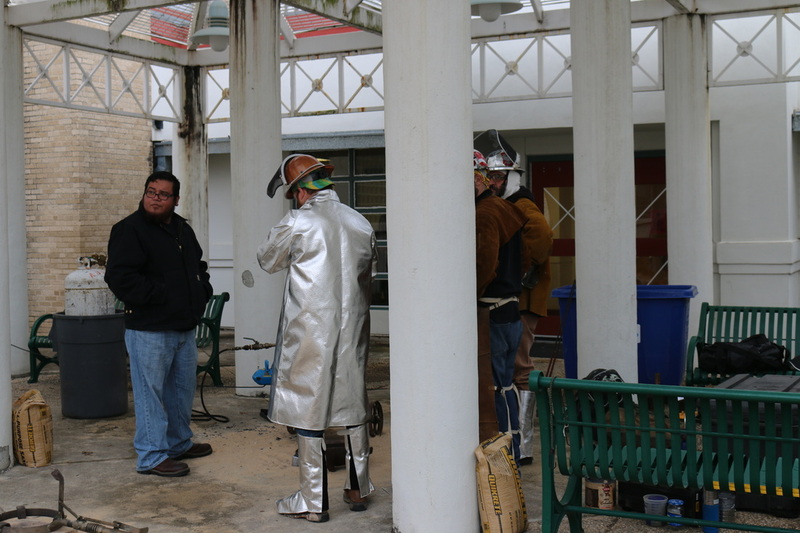 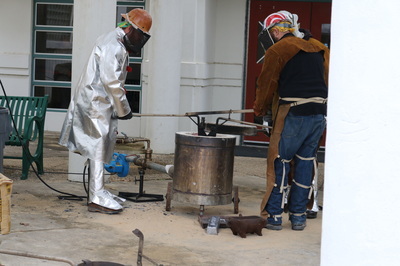 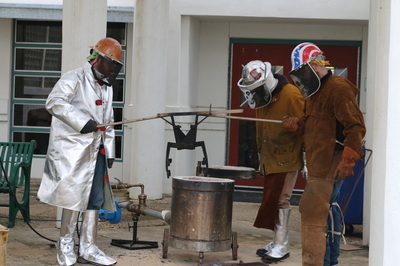 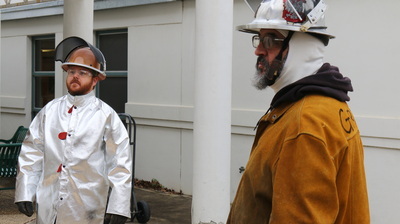 Students had the chance to watch Gron's crew pour the aluminum which was quite a spectacle. 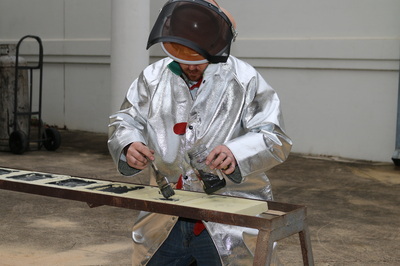 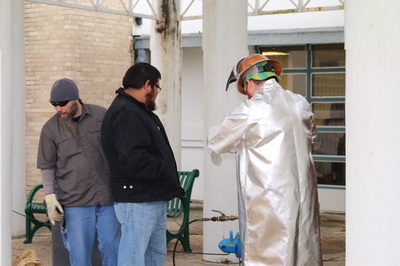 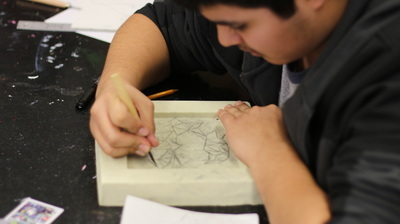 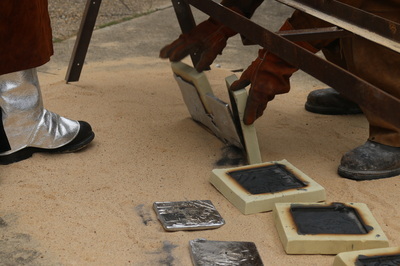 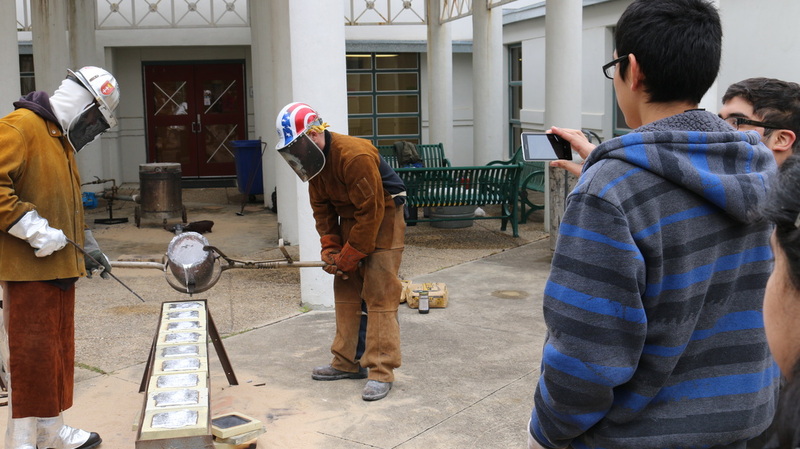 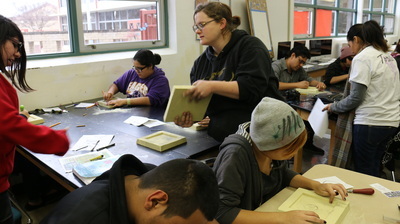 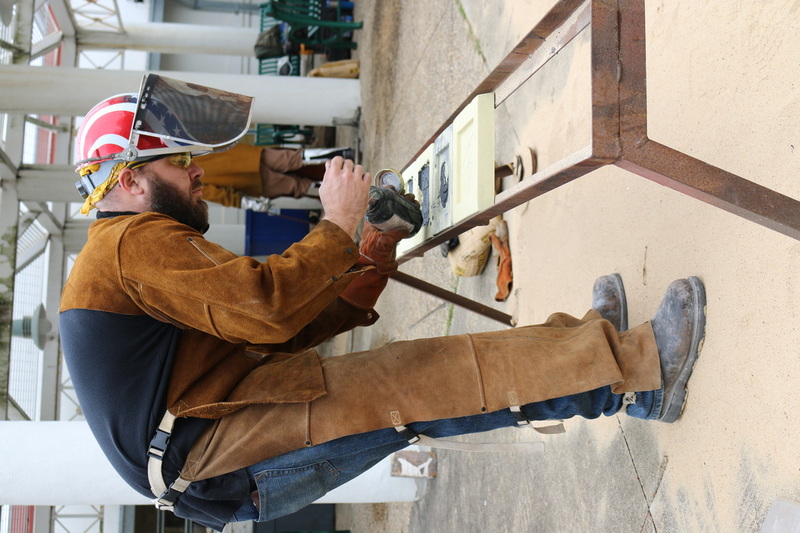 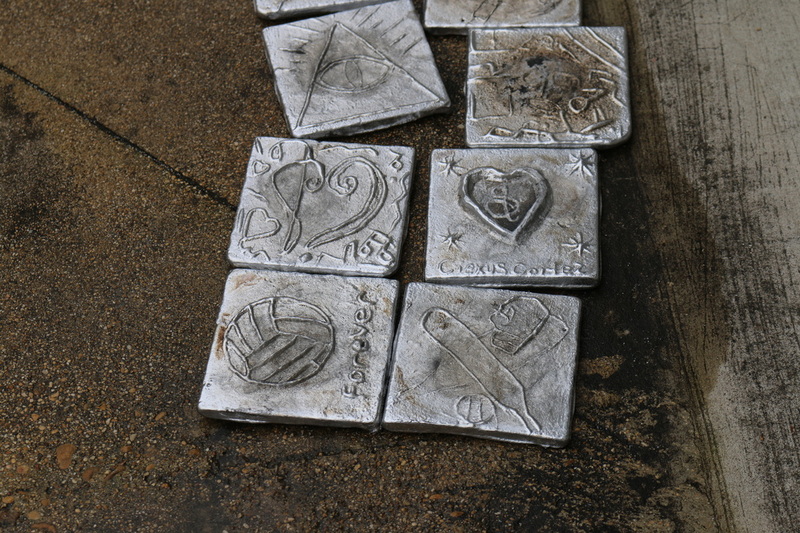 Using this unique technique, the final tiles created by the students will be incorporated into San Anto's next public sculpture set to be completed at the end of March. 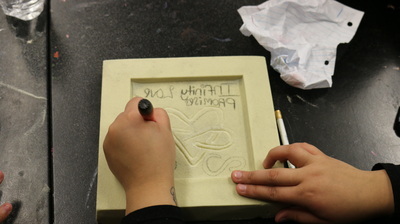 Stay tuned for updates on the project via social media and our newsletter.